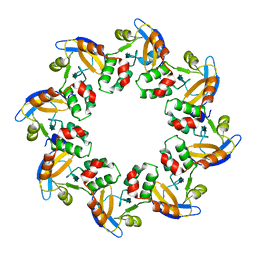 Cite: Solution nuclear magnetic resonance structure of a protein disulfide oxidoreductase from Methanococcus jannaschii. CRYSTAL STRUCTURE OF THE HYPOTHETICAL PROTEIN MJ1247 FROM METHANOCOCCUS JANNASCHII AT 2.0 A RESOLUTION INFERS A MOLECULAR FUNCTION OF 3-HEXULOSE-6-PHOSPHATE ISOMERASE. 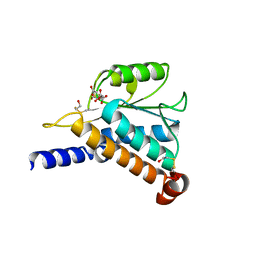 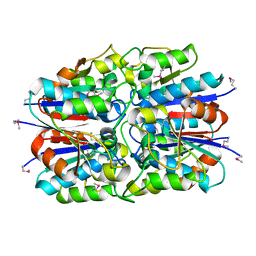 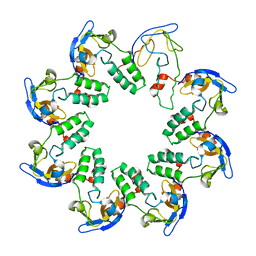 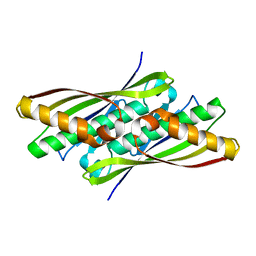 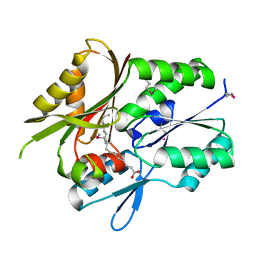 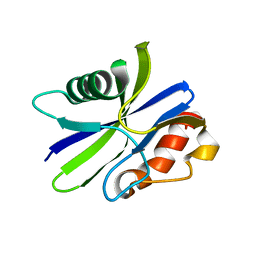 Cite: Crystal structure of MJ1247 protein from M. jannaschii at 2.0 A resolution infers a molecular function of 3-hexulose-6-phosphate isomerase. 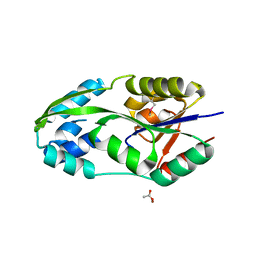 Cite: Crystal structure of NusA from Thermotoga maritima and functional implication of the N-terminal domain. 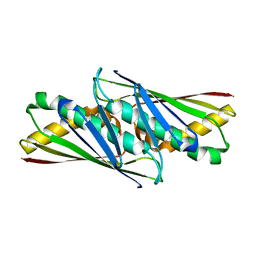 Cite: Structural characterization of the reaction pathway in phosphoserine phosphatase: crystallographic "snapshots" of intermediate states. 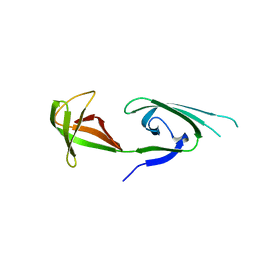 Cite: Crystal structure of conserved hypothetical protein Aq1575 from Aquifex aeolicus. 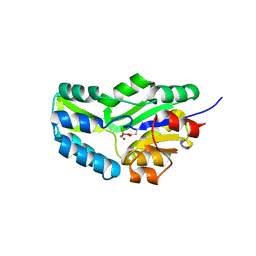 Cite: Structure of OsmC from Escherichia coli: a salt-shock-induced protein. 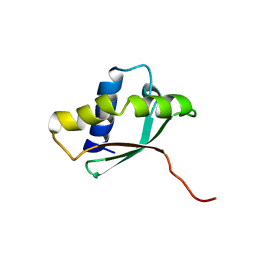 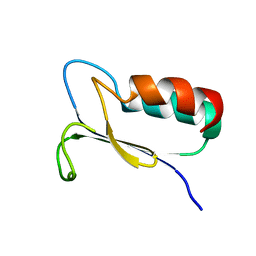 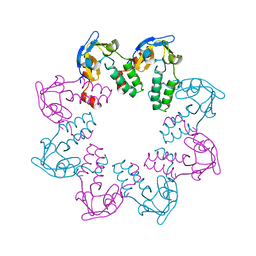 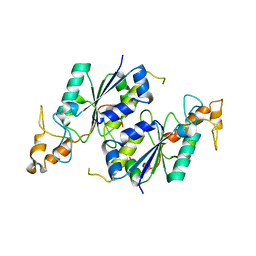 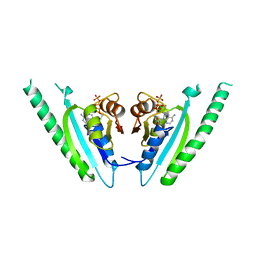 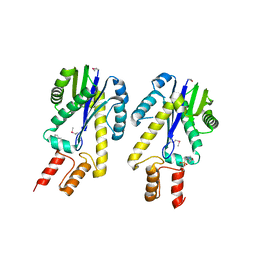 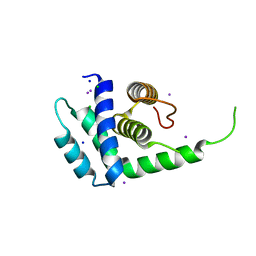 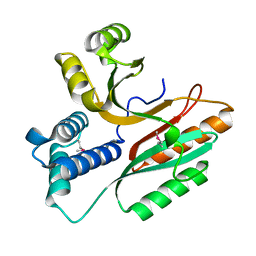 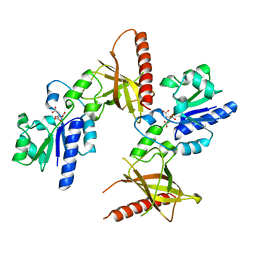 Cite: Crystal structure of tRNA (m1G37) methyltransferase from Aquifex aeolicus at 2.6 A resolution: a novel methyltransferase fold. 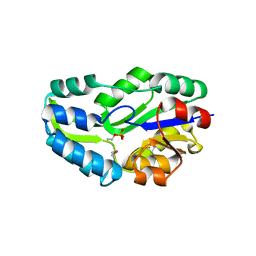 Authors: Kim, K.K., Yokota, H., Kim, S.-H. 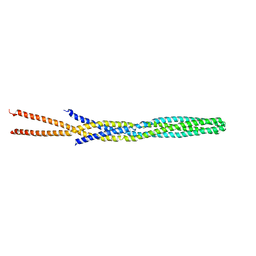 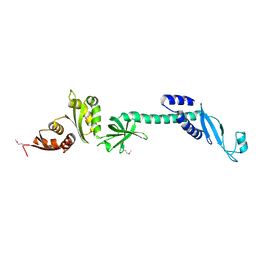 Cite: Four-helical-bundle structure of the cytoplasmic domain of a serine chemotaxis receptor.